The US war on Daesh (ISIL) in Iraq and Syria takes up less and less space in the MSM. The group and its issues haven’t gone away, however. A source in Iraqi security told AFP Arabic that US and allied air strikes had killed about 100 fighters near Mosul on Saturday. The fighter jets concentrated on weapons depots and medium and heavy weapons (tanks, armored vehicles), but it is being alleged that they hit a Daesh military HQ, accounting for the large casualty count.. In Ramadi west of Baghdad, Daesh ambushed Iraqi troops sent out to deal with them, and had set roadside bombs as part of the ambush. 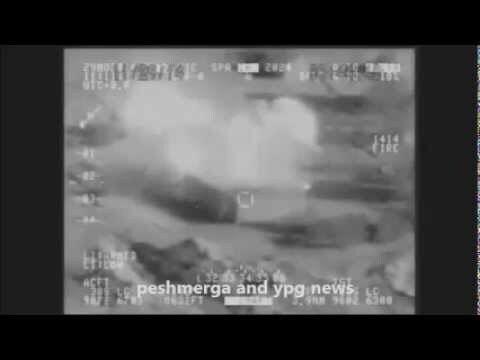 Still, the Iraqi Air Force bombed Daesh positions inside Mosul on Saturday. Meanwhile the Kurdistan Peshmerga or paramilitary is planning an attack Talafar, a largely Turkmen town in the north, and kick Daesh (ISIL) our of it. Turkmen are split between Sunni and Shiite, with the Sunnis having been Baathists for the most part. These latter are now often supporting fundamentalist forces. The US had ethnically cleansed Talafar of its Sunni Turkmen, creating a Shiite majority. But when Daesh conquered the city this summer, many Shiite Turkmen were forced to flee. The US and coalition air strikes on Saturday hit Daesh positions around Talafar in the north, presumably to soften them up in preparation for the Peshmerga advance. In Syria, Daesh tried to take a military base in Deir al-Zor in the east of the country, and as of this writing appears to have failed. The Syrian army rallied to push the fundamentalists back.